If there is one smell that people associate with carnivals, it is the sweet smell of cotton candy! 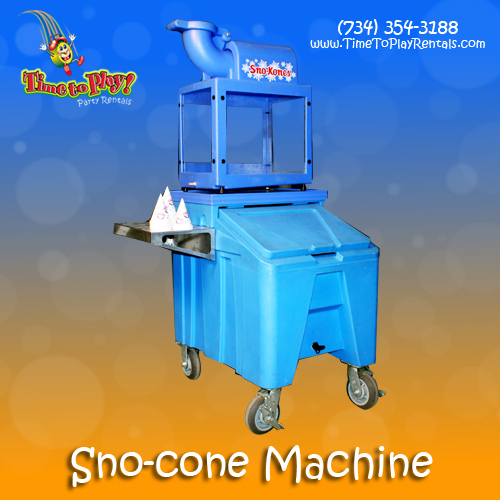 You can guarantee that our sno-cone machine will be a hit at your party! No one can resist the smell or taste of freshly popped popcorn! Offer your guests the ultimate snack by allowing them to add warm butter to their popcorn. 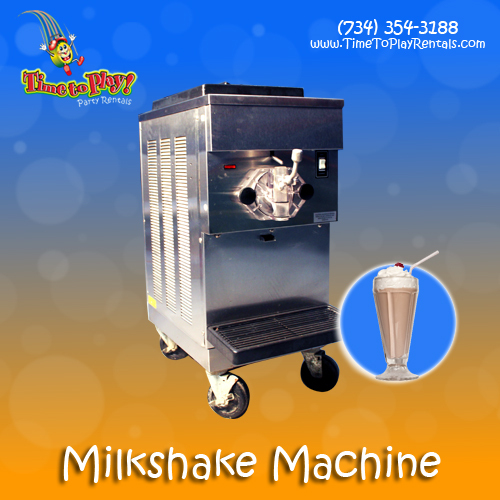 Our double bowl frozen drink machine is an absolute must for summer parties! I scream, You scream, We all scream for…ICE CREAM! 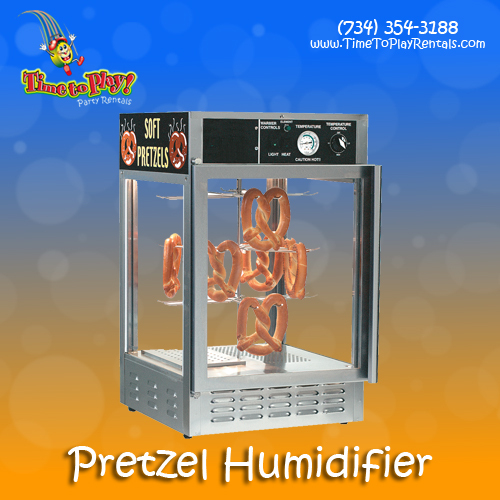 You’ll feel like you stepped into the ballpark with the fabulous smell of steamed franks at your party! Do you love hot dogs off the grill, but hate the charred mess? 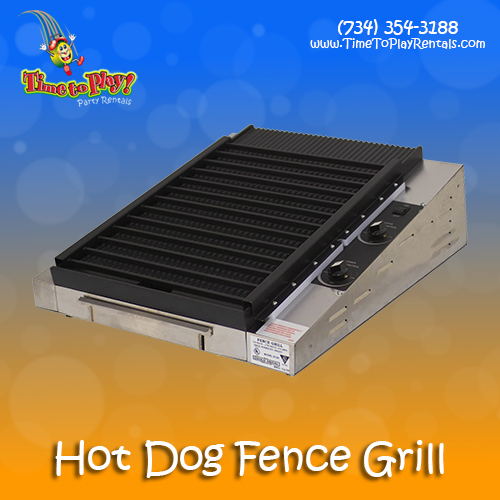 Our (pump style) cheese warmer is a perfect complement to our hot dog steamer and chip warmer! 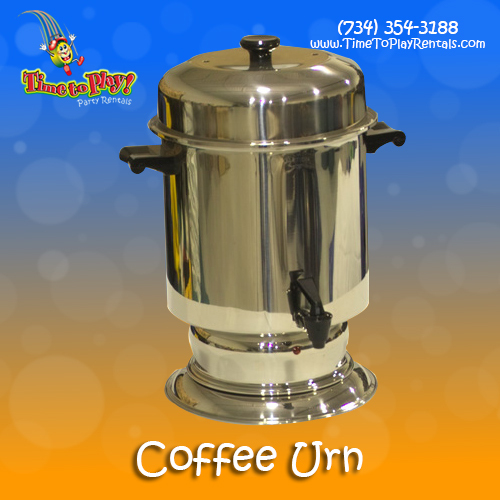 Like our cheese warmer, this (push button) cheese dispenser is the perfect addition to a nachos or hot dog buffet! 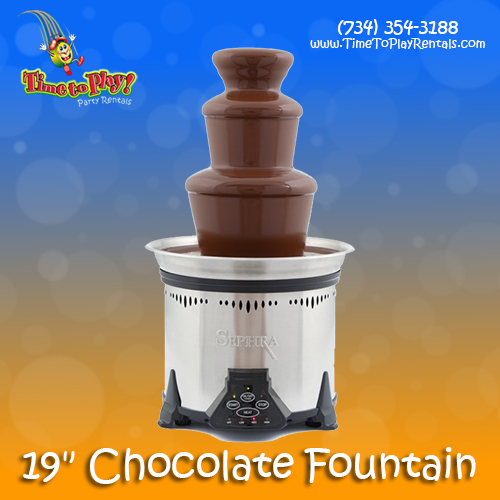 Our chip warmer, together with our cheese warmer, will be the “fun food” hit of your party! 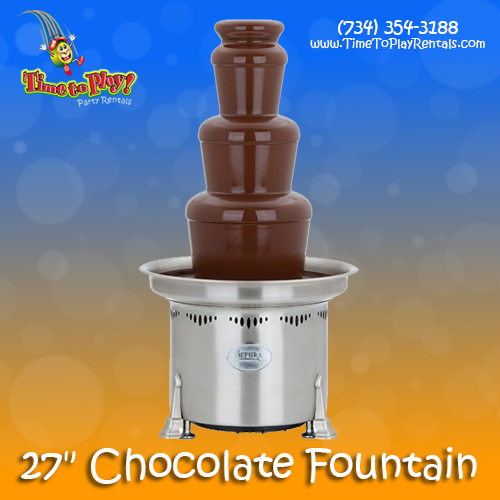 Our Chocolate Fountains are not only delicious - they are absolutely beautiful! Yummo! It just doesn’t get much easier than this! Treat your guests to their favorite milk shakes! 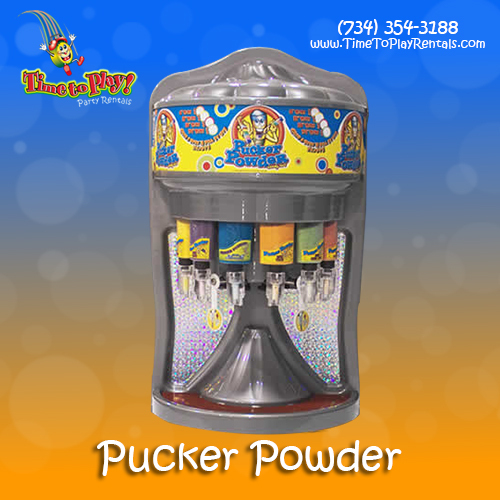 Pucker Powder is the hottest candy product for kids of all ages! 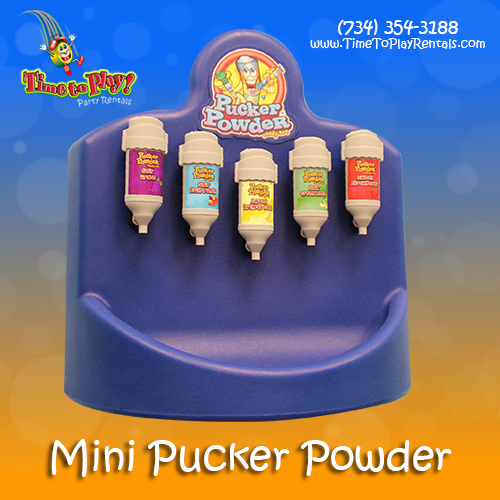 Like our large Pucker Powder dispenser, our Mini Pucker Powder is incredibly fun and easy to use. 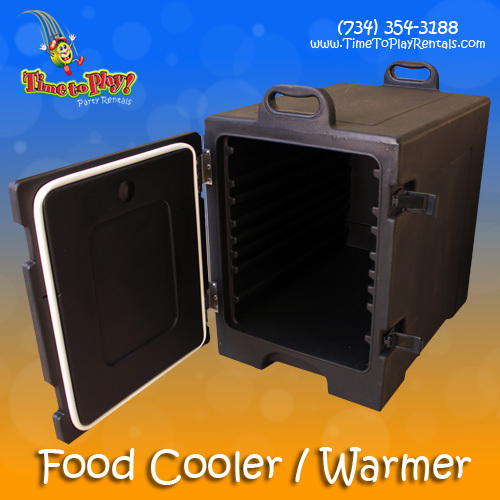 Keep your beverages cold all weekend with this amazing cooler! 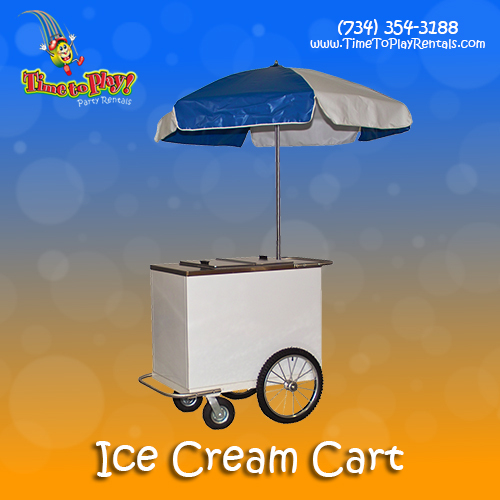 An essential for catering your next event! Include the old-fashioned fun and enjoyment of delicious caramel apples at your event! There is no easier way to offer coffee to the guests at your event!